Albom attended high school in Southern New Jersey and moved on to Brandeis University in Waltham, Massachusetts, for bachelors in sociology. He spent several years working in night clubs in pursuit of his dream to become a musician. He joined various bands in high school and college. He also got enrolled in Berklee College of Music in Boston, Massachusetts, where he studied Jazz Piano from Charlie Bancos. 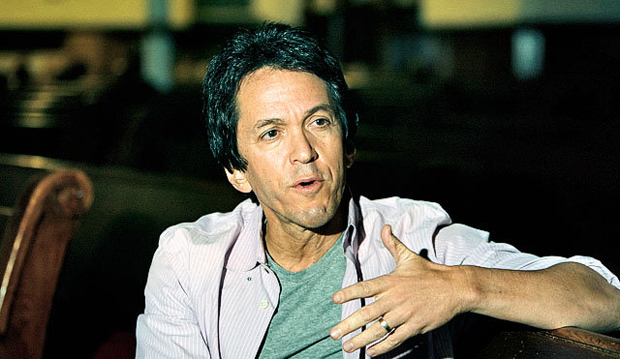 While working in music industry in New York, Albom developed interest in Journalism. To chase this new interest and to build his portfolio he started writing for Queens Tribune, a weekly newspaper. This experience helped him earn admission in Columbia University to earn masters degree in journalism which was soon followed by an MBA. In order to help pay his tuition fee, Albom worked with a sports magazine as a part timer in addition to nighttime piano playing. His work with sports magazine kindled his interest in sports writing which he carried on after graduation by freelancing for sports publications. In 1983 he had his first break though when he was hired as feature writer for The Fort Lauderdale News Sun Sentinel, where he eventually got promoted to columnist. Albom won Associated Press Sports Editor award in 1985, based on this achievement he was taken on board Detroit Free Press as lead sports columnist. He quickly gained popularity among his sports readers. In 1989 he was assigned a weekly non-sports column dealing with American life and values. Albom won best feature writing award seven times, no other writer ever had the honor to receive this award even twice. In 1995 Albom heard through a friend that his sociology professor, Morrie Schwartz with whom he had a very close acquaintance in his college days, was sick with a fatal disease. Feeling guilty for not keeping in touch with his professor, Albom started seeing him very often. This casual sitting became so regular that he started visiting his professor every Tuesday. These regular visits and their discussion regarding life and death gave Albom the idea to write a book about their visits aiming to pay his professor’s medical bills. Though the idea received many rejections from various publishers yet it was eventually bought by Doubleday shortly after Schwartz’s death. The result was “Tuesdays with Morrie” published in 1997 and six months later the book was positioned No.1 in New York Times bestseller’s list. Today the book has sold has sold over 14 million copies and has been translated into 41 languages. This book is taught in educational institutions all over the world. After the enormous success of ‘Tuesdays with Morrie’ another one of his fictional stories was ‘The Five People You Meet In Heaven’ (2004) which was also saw the glory of success selling over ten million copies and translating in 35 languages. His novel ‘For one more day’ was published in 2006 and stayed in the best seller list of ‘The New York Times’ for nine months, again an honor. Albom is a well reputed songwriter, lyricist and writer. He continues to write till today giving immense contributions to the literary world as well as the media of television and radio.